A rich mature sheeps milk cheese with a striking marbling effect of truffles complementing it perfectly. IngredientsEwes Milk (93%) , Balck Summer Truffle ( 5% min), Rennet, Salt, Dairy Cultures (Milk). Moliterno with Truffles is from Sardinia which is renowned for its sheep milk cheeses due to its terrain and pastures which the Ewes feed on. 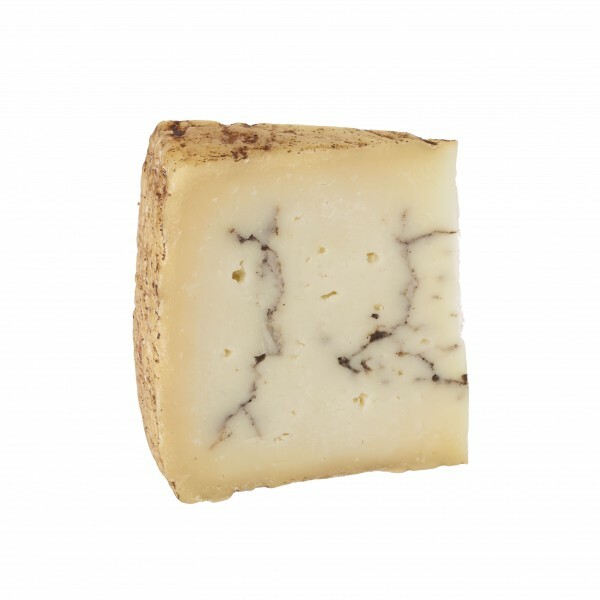 Moliterno withTruffle is a rich mature Sheep's milk cheese with creamy and sweet under tones. The cheese is matured for 60 days before the Black Truffle paste in added which compliments the flavour creating a special and unique cheese. The cheeses are still moulded by hand in wicker baskets which form the attractive pattern on the rind.